What more appropriate for the first proper post from my new home in Norfolk, England, than a Viking invasion? 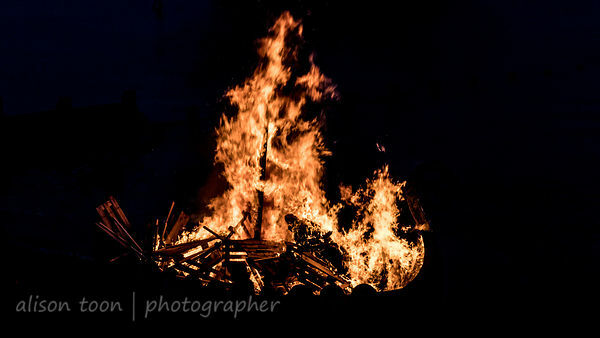 It happened yesterday, in Sheringham; the seaside town's fifth annual Viking festival, ending a week of activities with battles on the beach, a torchlight procession, and the ceremonial burning of a boat at the edge of the tide. It was a beautiful, sunny, calm and clear February day. Perfect weather for an invasion. Perfect weather for a fight on the beach. 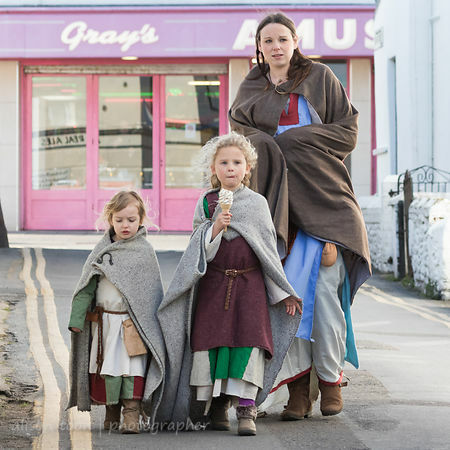 Vikings and Anglo-Saxons like ice-cream too! I learned that Vikings love to eat chips. And ice cream. And that the leaders of today's Sheringham are happy to walk down the street with the mauraders. And that people come from all over the country to see the festival... and that it's growing bigger and better every year. 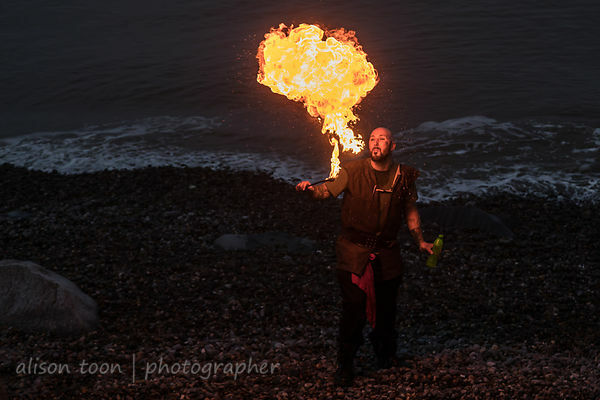 The Wuffa and Dragon Shields, Vikings and the Anglo-Saxons battled it out on the beach at low tide, clad in heavy chain-mail, wielding huge wooden shields, battle-axes and swords. Cut down in their prime--or weighted-over by the weaponry--they fell into the cold, wet sand, only to spring back to life, time and again, when the the crowd summonsed the help of Vallhala and cried, "Rise, Rise!" (or as one youngster in the crowd called, "Rice!") This generated some interesting, overheard conversations, children asking their parents about death and dying, which I'm sure were answered in creative British style. There was a fire-eater, and a fire dancer, and a witch, and dog-lion who came along to watch the show and sat patiently waiting for the parade to pass. Organized by the Sheringham Carnival team, you can find out more about it here, and another set of photos and a writeup in the North Norfolk News today.